Happy Green Day from the Kindergarten ! Students in Mrs. Jaeger’s & Mrs Rennie’s class spent the day participating in Leprechaun Math. 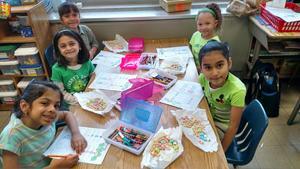 During these hands on activities students sorted, counted, and added Lucky Charms. 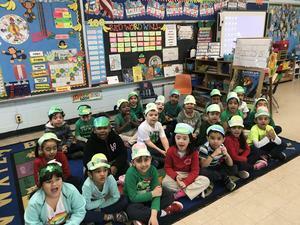 The students also created unique headbands.